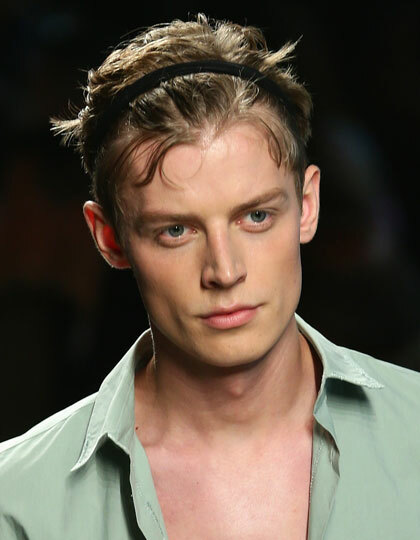 Mens hairstyles trends 2015 are rather versatile, inventive and easy to wear each day. 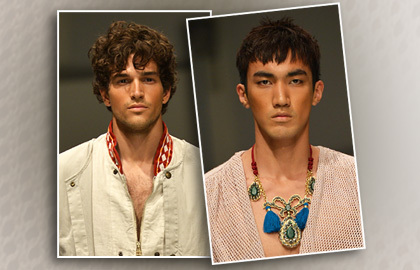 I have created a selection of the latest hair trends for men from Milano Moda Uomo in this article. Experienced designers invented the all new hairstyles for men for the coming season 2015, that will express manliness on one side, sporty looks mixed with elegance on the other. 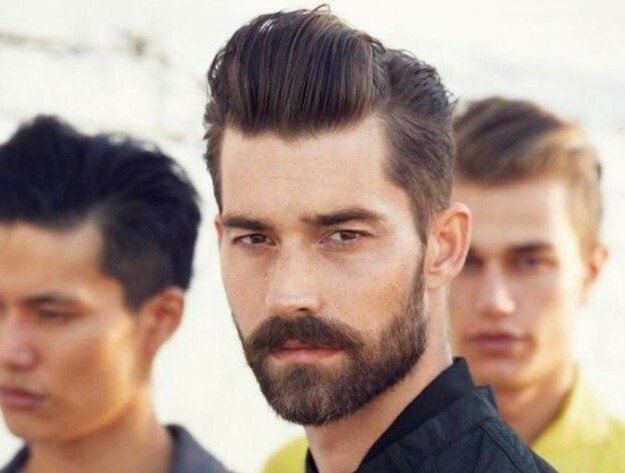 Mens hairstyles trends 2015 are first of all represented by beard. Actually three days unshaven face never fell out of fashion, but hair trends 2015 are not just a bit unshaven beards, but full and vast beards. What is curious such beards are accompanied with neat gelled hairstyles that make a perfect contrast and create incredible impression of manliness and strength. So keep in mind that beard is very significant in hairstyles 2015 as proved by Milano Moda Uomo Show. 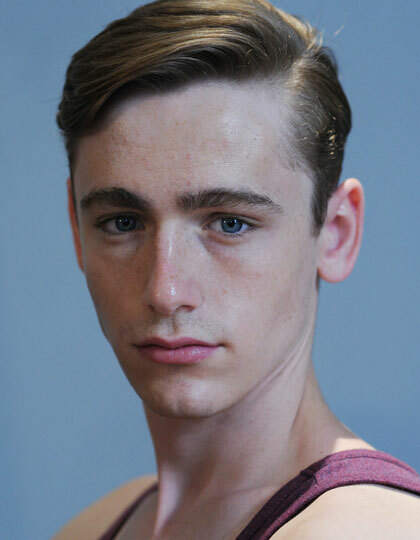 In modern times side parting is as popular as it was in the late sixties. 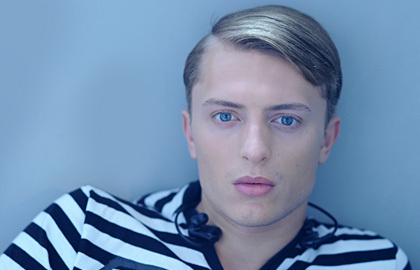 You van have matted side parting and you can choose gelled glossy hairstyles to look glamorous. Anyways, side parting is the hair trend 2015. A liitle tip from me: after styling, fix the side parting with hair spray. Hair color that was in the mainstream for women hairstyles this year 2014, doesn't want to go out of fashion and the coming year 2015 will settle in mens hairstyles. 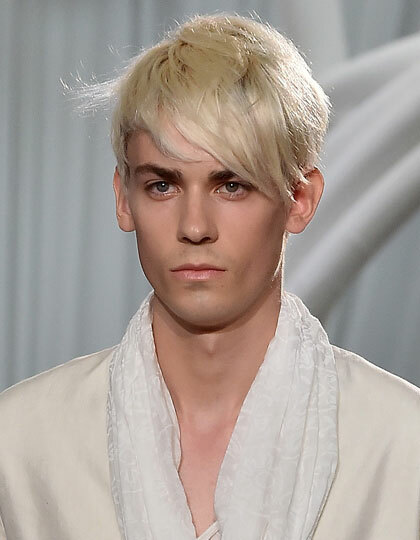 With platinum blonde hair color be sure to have casual looks. 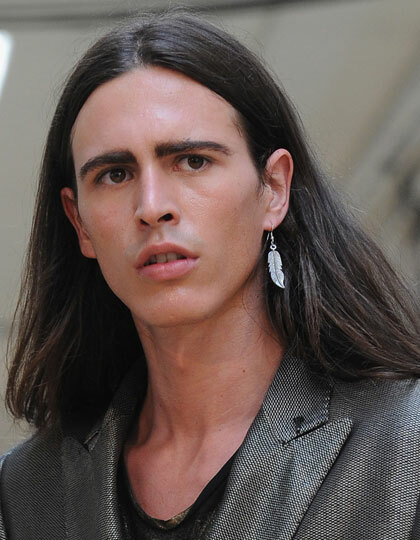 Long hairstyles will be popular for men again in 2015. If your hair is thin then forget about long hair. Hair trends 2015 offer medium length hairstyles for vast and healthy hair. To look on topic make the center parting that will inspire you with daring looks. Headband hairstyles for men seemed to be gone to history and so far we could spot them only on footballers. But season 2015 will bring them back, so be sure to obtain some stylish headbands already now.